I met Erica back in 2015 at her cousin’s wedding (I still think about how awesome Alex + Becky’s backyard tent wedding was!) where she was a bridesmaid, so of course I was thrilled to hear from her when she was looking for a wedding photographer! 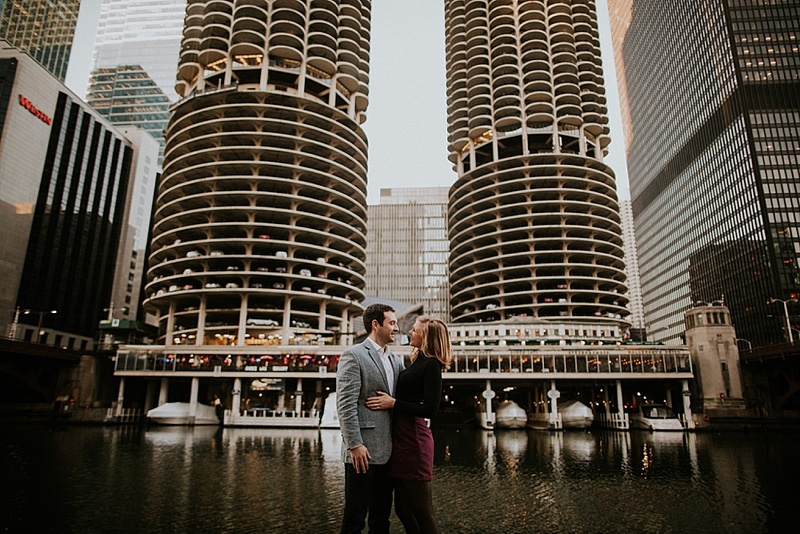 Okay, so this is the second time that I have had a Chicago Engagement session booked for early January and it has ended up being in the high 50ºs! 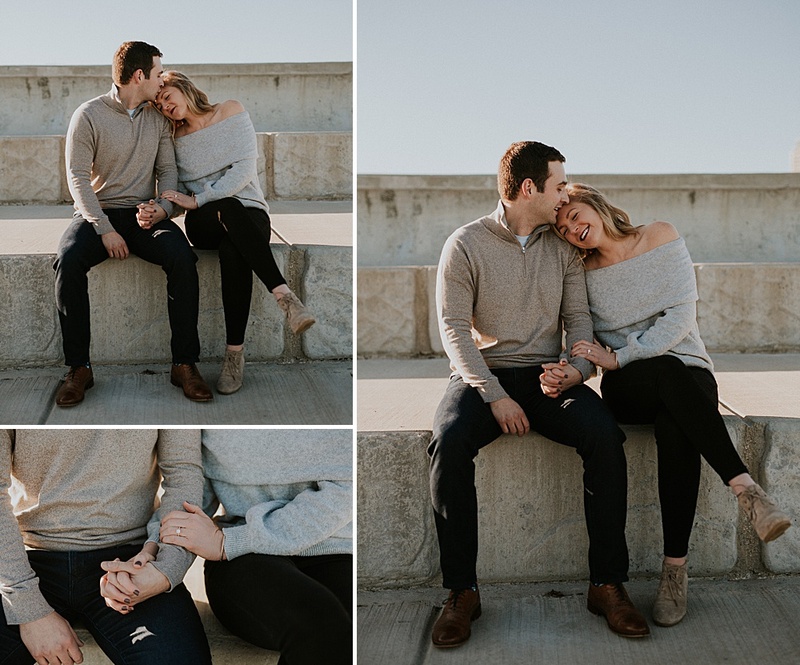 (the first was Mike + Felicia’s) When you schedule a January engagement session, you are fully expecting to have frigid weather and buckets of snow, so I have no idea what the odds are that I ended up with two perfect days that you absolutely wouldn’t guess were shot in January! One of the only things Erica mentioned wanting in her photos were pretty Christmas lights. We had found the cafe lights along the river and were excited about that, especially since this was just after New Years so we weren’t sure if any would still be up. But right as we wrapped up our session we spotted a bunch of trees beautifully wrapped with lights, there wasn’t a ton of light still available, but I’m so glad we ran over and grabbed these last few pics!